How come it took me so long to find your blog, Clergygirl? In fact, i think we’re Facebook friends, lol. I simply cannot wait to come back and linger. From my brief experience here, you write thoughtfully, articulately and humorously about the things I want to know more about! Hey Jill! Thanks so much for stopping by. I think we are friends on facebook….and if not, we should be…lol! I need to post on MWC. It’s been a while. What an awesome feature you did on my little girl. My Hannah is amazing and I feel blessed that God gave me such a tender hearted child. 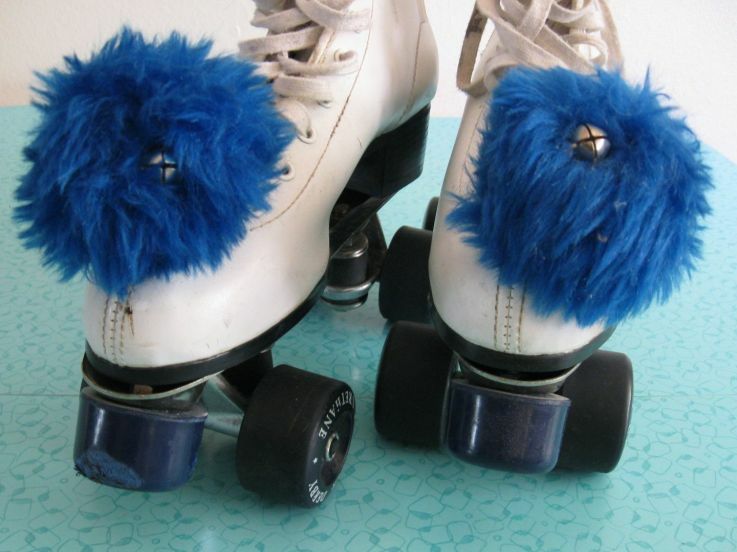 I did show this to her and she laughed at the roller skate part… She’s got black ones but with blue pom pom! She can’t wait to meet you. Does she have a web site of blog site for Hannah’s Hope? She can start a blog for free at wordpress. Then I could direct people for general info. Hannah is funny about the internet and modern day things LOL. I got her one of those small laptops thinking it would be handy since she is getting older… well, it maybe has been used 5 hours since Christmas. She’s the same with TV. She’d rather be drawing, writing, or playing outside. Hannah you are doing wonderful work. If only *I* could be like you! I have a couple teddy bears coming your way soon. Many blessings on you all. I pray that the children who get your wonderful gifts will feel God’s love reach His arms around them and hold them tight as they hold these stuffies. The light is bright with you Hannah. Thanks for the example in faith. Blessings. Yay Misty, loved your comments! What a great picture of Jesus with Hannah!